Open the Omni Connect application. 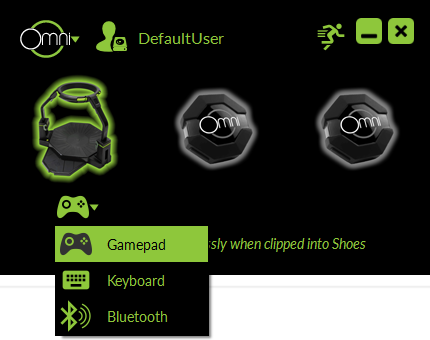 A gamepad icon should show beneath the image of the Omni. If in keyboard mode, you will see a keyboard icon there. Switch to gamepad mode using the dropdown arrow next to the icon and changing the setting.